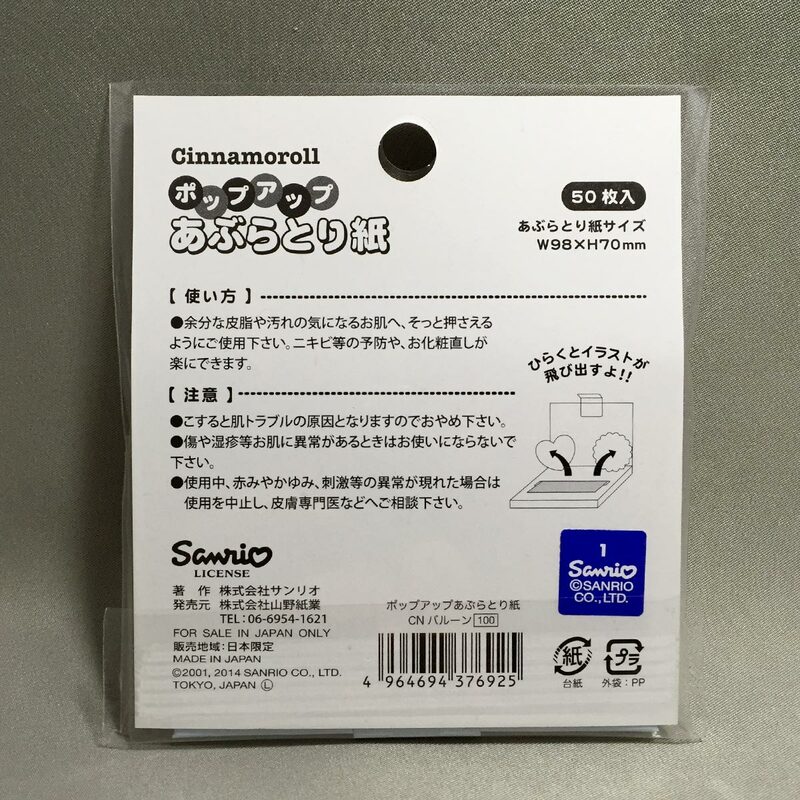 The paper carrying case has a cute illustration of the Sanrio character Cinnamoroll and friends Mocha, Chiffon and Milk. 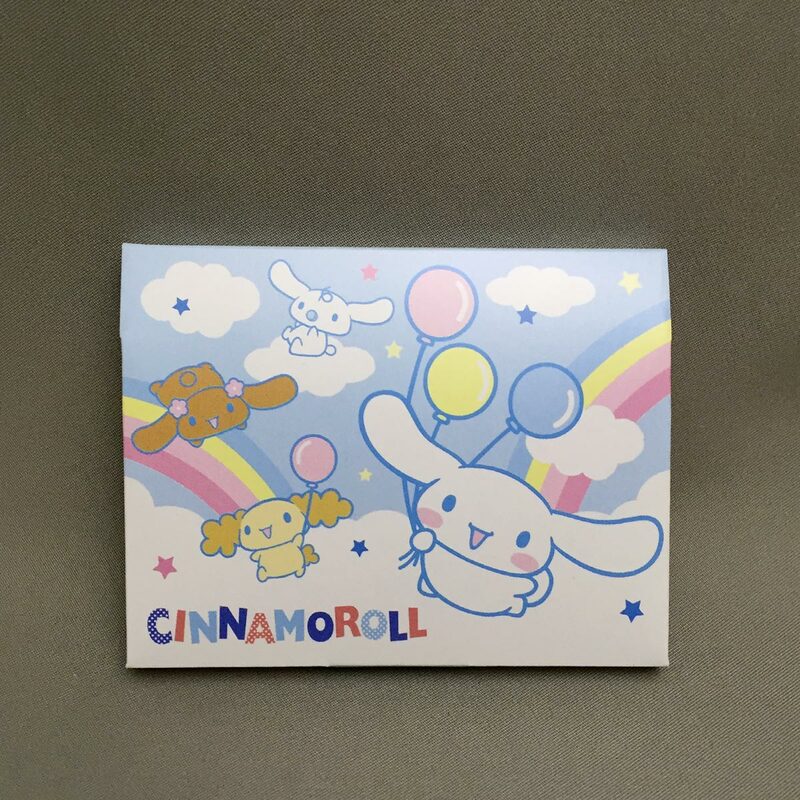 When the case is opened up, Cinnamoroll and Milk pop-up, and we can see Mocha, Chiffon and Espresso playing in the background. 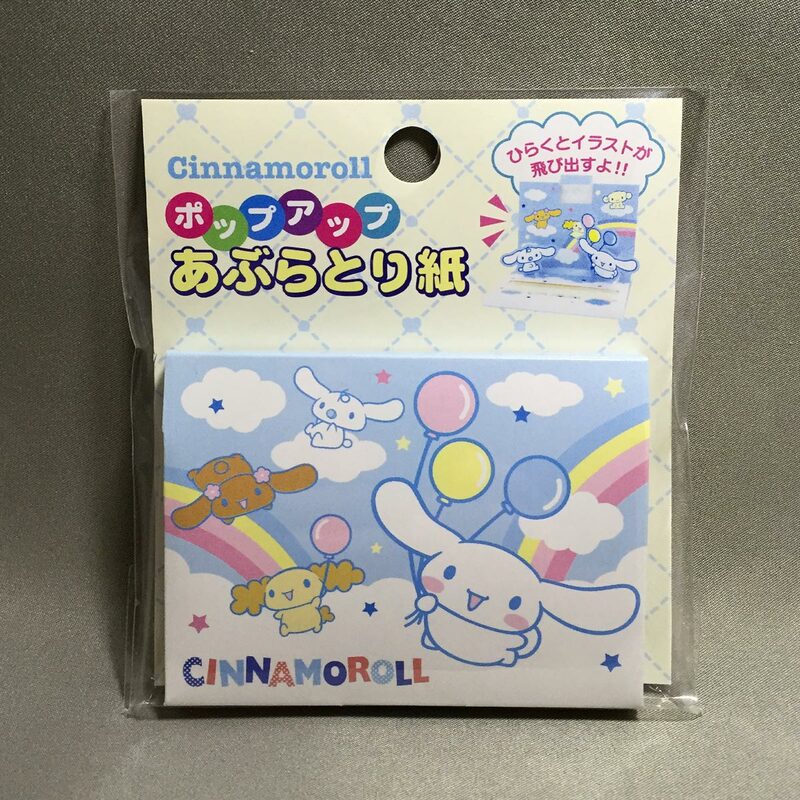 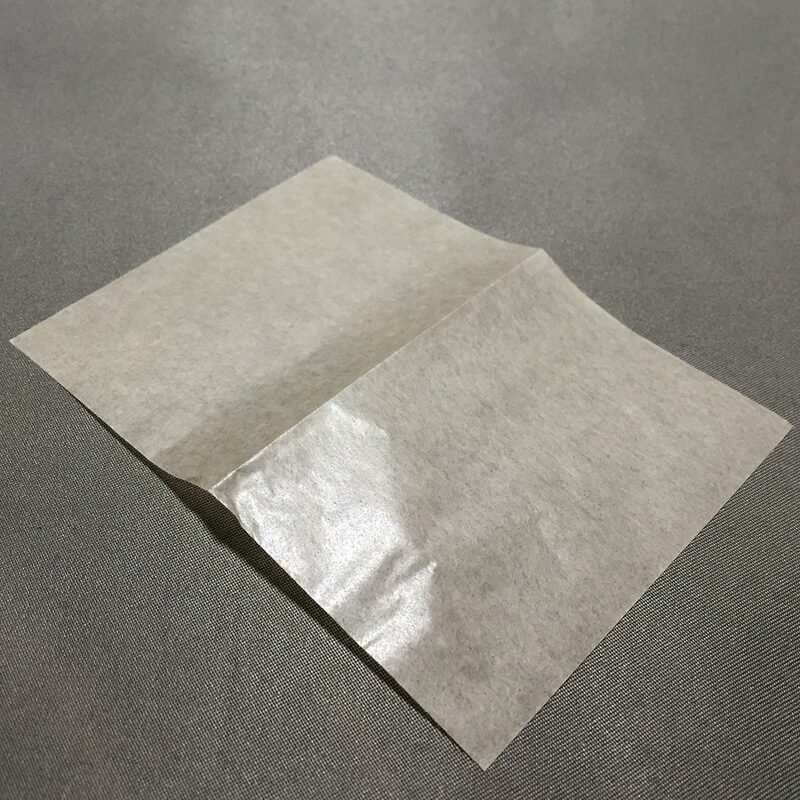 The Cinnamoroll Oil Blotting Paper is a licensed product from Sanrio (Sanrio seal on the back packaging). 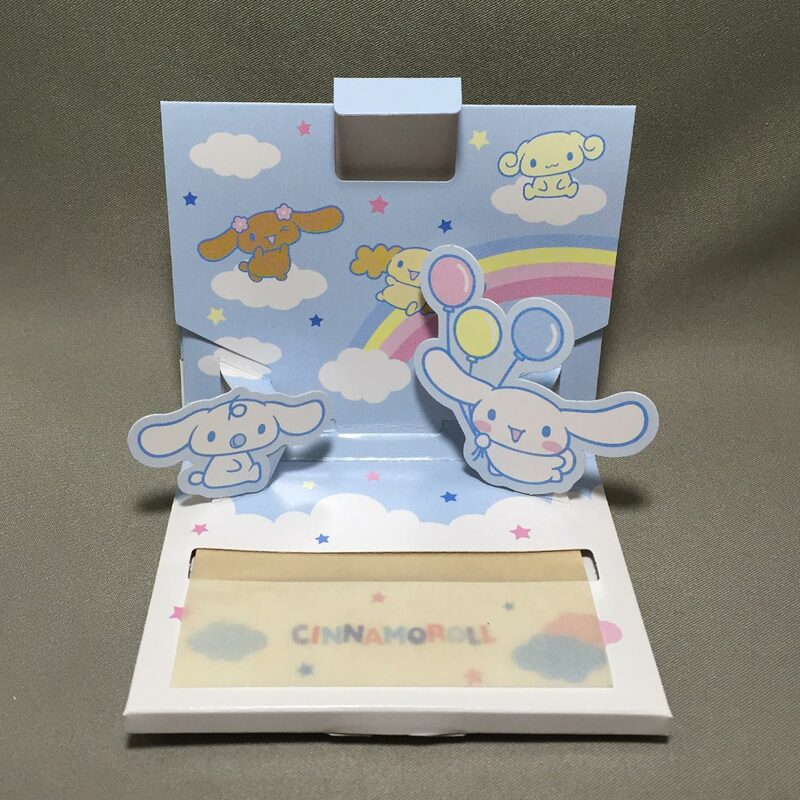 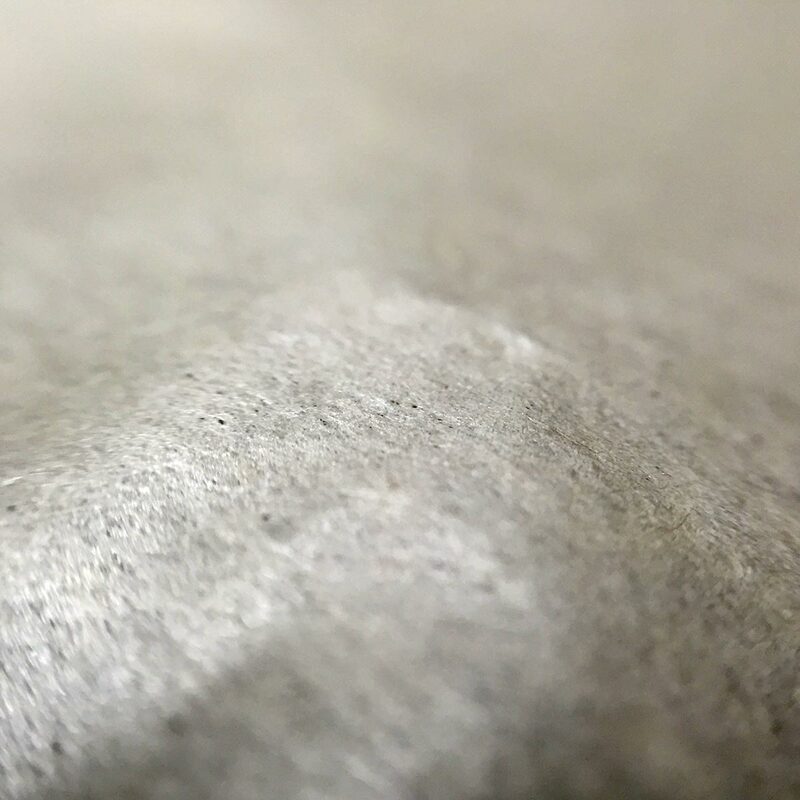 I have dry skin, so the oil blotting paper is not useful to me now, but come summer, I may be blotting my face with Cinnamoroll and his friends. 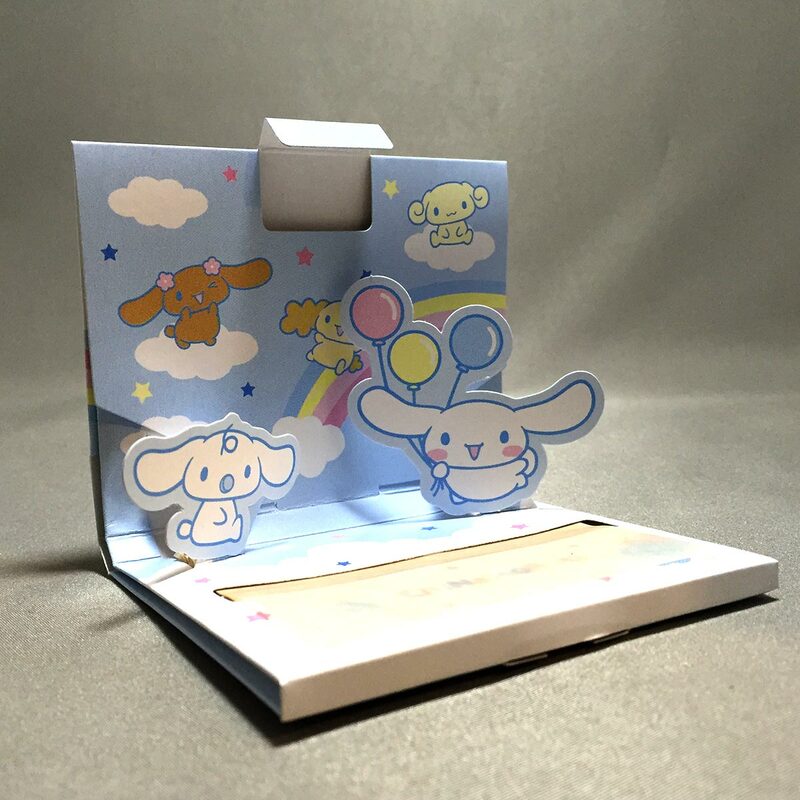 Anyhow, the cute design would make it a great present for kids. 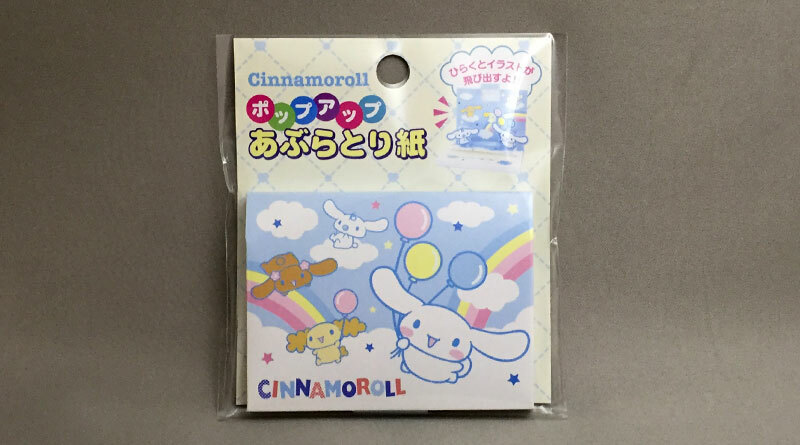 For 100 yen, you get 50 sheets and pay towards the licensing fees to Sanrio. 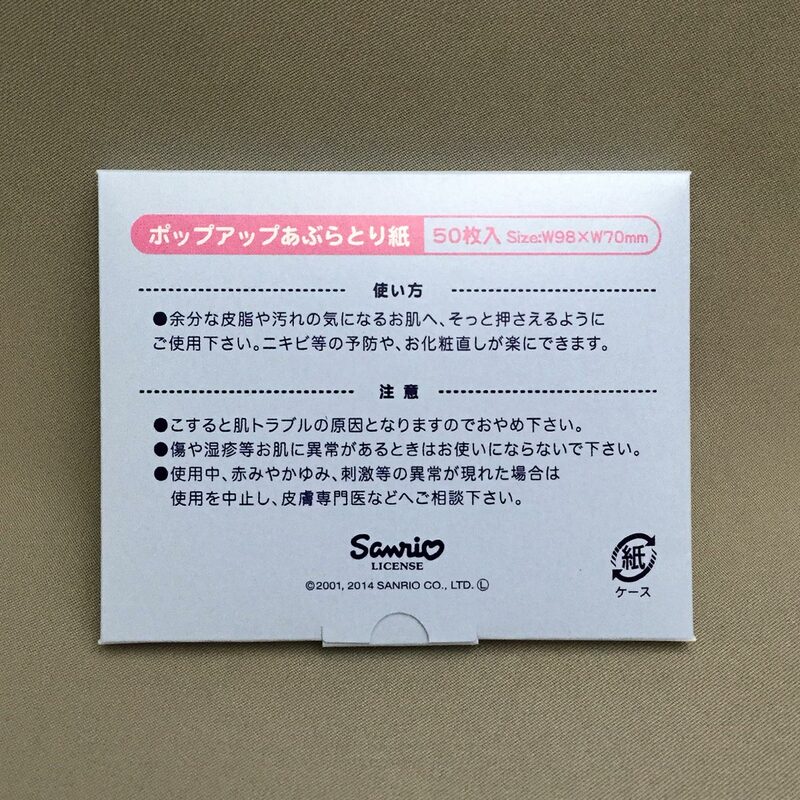 If you’re not bothered about the illustrations, there are online shops selling 1000 sheets of oil blotting paper for about 800 yen.